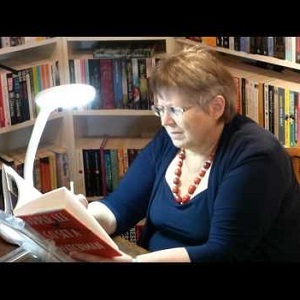 Anne Jones has won the World Speed Reading championship six times. She has made numerous TV and radio appearances (including c-BBC’s Newsround featuring her work with a team of Burleigh Community College youngsters, BBC2’s The Daily Politics, Sky News and BBC Radio 2’s Chris Evans and Simon Mayo shows). Anne set a new speed reading record reading Harry Potter and the Deathly Hallows and reviewed the book for Sky News and various newspapers, including The Independent on Sunday. Success in speed reading competitions led to requests to speak about speed reading and for training courses. Anne is now the UK’s best-known speed reader and travels internationally to train clients in speed reading. Summary: Anne’s answer to the five questions! Listen to the full conversation on the player above; also available on iTunes, SoundCloud and Stitcher. I think that hope is resilience bounced back and I do think its part of human nature. There are family members who constantly inspire me. I could think of my father and my mother. I think it’s the worst time in people’s lives when you got a family member who is ill and there isn’t a lot you could do. I think what we do is to get through it – we can still reach out to other people. I’m very fortunate I’ve got a very supportive family, brothers and sisters who care about each other. You’ll find the strength there. If you were depressed which again something, let’s face it, we all suffer from from time to time. The only way forward is really to think about other people. I think the simple things I do, checking interest in other people, that’s fairly basic. At the moment, lots of fundraising going on for people in Syria, refugees. There are always things like events, fundraising when something tragic happens. The local village store opens twice a week for coffee mornings – I support that by helping with washing up Chris. (laughs) It’s always fun to have things to do if you want to help. (1) Talk to people. Listen to what they have to say. (2) Offer help to people who need and want help. Listen to the full conversation on the player above; also available on iTunes, SoundCloud and Stitcher.